Here is a summary of the talk I gave at IATEFL 2016 in Birmingham; Instant messaging with learners: chilled out chatroom or creepy treehouse? The talk was based on research I carried out while teaching a 10-week pre-sessional course to a group of 16 of multilingual post-graduate students. I set out 4 learning objectives that I wanted to achieve during the course, but I needed to find a strategy to meet them. Boost student motivation for academic writing. Establish a sense of community in the classroom. 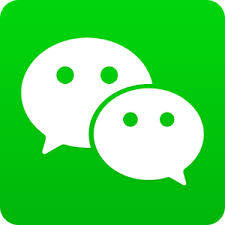 I chose to harness the affordances of student smartphones as a learning tool and using a cross-platform mobile instant messaging app, I set up a class group on WeChat. I specifically chose this app, because students could sign up using their Facebook accounts and therefore there was no exchange of telephone numbers or infringement on privacy. I wanted to make a correlation between the constant Tweeting, social media updates and instant messages my students were writing all day long, and academic writing, while also trying to bring a motivational and fun element to the learning. The students were guided through a range of activities both inside and outside the classroom and were required to share their ideas and collaborate with peers as they interacted using WeChat. Using a selection of high frequency words in academic English, I sent words one by one to the group. Each time I sent a word, the first group of students to reply with a synonym got a point. This motivated students to think quickly, and added a fun element to the activity. It also helped widen their lexical range and they were able to refer back to the messages during the course to find and use lexis they needed. This was a collaborative writing task where students shared their notes from the weekly lecture and wrote a summary together in no more than 100 words. The four groups wrote their summaries on WeChat and sent them to the group. Each group read the summaries of the other groups and made a note of any inaccuracies, points they wanted to question, and things they liked. Each group read their summary aloud open class and as they did this any student could shout stop at something they wanted to question, and it was discussed openly. Because the writing had been carried out collaboratively, no student felt pinpointed or undermined. For homework I gave the students a TED talk to watch in their own time over the weekend. I asked them to post a summary of the main points of interest for them personally supporting them with evidence and reasons why (one of the tenets of academic writing). They sent their summaries to the WeChat group and I moderated them. This was not time consuming for me, and gave the students a sense of ownership over their learning because they were free to do it at any time during the weekend that was convenient for them. This worked well, so I continued to do this throughout the course to help the students develop their listening, summarising and having to explain why. I asked the students to carry out an anonymous questionnaire, to gain an insight into the usefulness of the class instant messaging group from the learners’ perspective. The activities were fun and interesting and transformed a task we dreaded into something we enjoyed. I communicate more with my classmates and learnt from them. I compared my work with our classmates and adopted a competitive approach to impress them (This was reflected in the quality of the writing the students produced). I feel the gap between the teacher and me has narrowed, because she is a part of the chat group. I feel more confident to write now, so I am more motivated also. It is student-centred, interactive and communicative. It increases motivation and shifts the motivation from extrinsic to intrinsic. It encourages sharing and extends learning. It creates a personalised learning platform that students can refer to both inside and outside the classroom. If you decide to try out any of the activities mentioned, please let me know how it went! 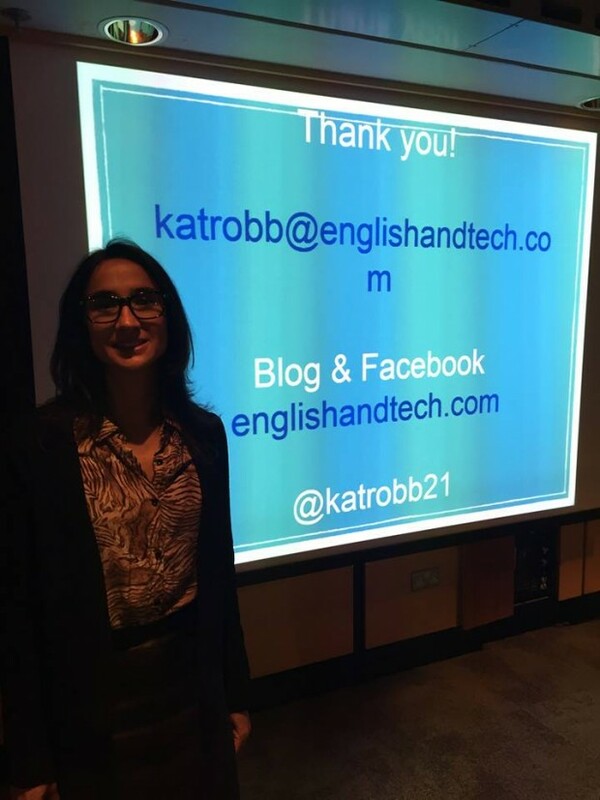 IATEFL Birmingham 2016 – Instant messaging with learners: chilled out chatroom or creepy treehouse? The post conference buzz is still racing around in my head after seeing so many talks, new ideas, old ideas, different takes on current ideas, and trying frantically to catch fleeting moments to talk with friends and make new ones in between a very packed IATEFL programme in Birmingham. All in all a great conference, and for those of you who didn’t manage to see my talk; “Instant messaging with learners: chilled out chatroom or creepy treehouse?”, the British Council have kindly sent me a recording which you can watch here. I look forward to the next IATEFL as I’m sure we all do!